What to do on a day where the whole family feels like poo?Make soup! 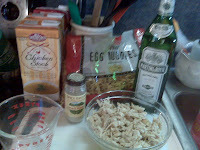 Today I am making old fashioned Chicken Noodle. My roommate in college, Riley was really sick one winter and his Mom called and dictated his favorite chicken noodle soup recipe. I have been making this for almost 20 years. Mrs. Hall lost her battle with cancer 12 years ago. I have such amazing memories of her. When living in DC she would invite me over on Sundays for “family” dinners. great lady who is missed! I make the biggest pot I can and then freeze it so I have it on hand. I do not freeze with the noodles. I always add those with each individual pot. Start with lots of water & add one whole chicken or split chicken breast, 1 stalk of celery, outside of onion, peel from carrot, 3 cloves of smashed garlic, salt, pepper, turmeric and lots of dill. Bring to boil. Simmer until chicken is cooked apx 40 mins. Take chicken out and put skin, bones and any part of chicken you are not using in soup back in the pot. Add box of chicken broth. Simmer on low all afternoon. (4-6 hours) Then pour broth thru a mesh strainer and toss everything. You will have a beautiful clear broth. egg noodles just prior to serving. Allow veggies to soften apx 30mins, add noodles or you could use rice and enjoy. This soup always makes my family feel better!! *cooks note: want to make this in a hurry? use a rotisserie chicken and cut time in half! This entry was posted in Uncategorized and tagged Chicken, Chicken and Noodles, chicken noodle soup, feel better, perfect, soup, Souper Sunday. Today I give you my take on Italian Chicken Soup, as comforting as the original just with a few more flavors. Basically I used what I had on hand and this is what I came up with! It was really yummy and I enjoyed it a lot. I will definitely be making this again! I also made a huge pot so that this can be either frozen for a meal later in the month or eaten on all week long! Dice onions, celery and carrots, sauté in olive oil until tender; add thyme. Add chicken broth and allow to warm, flavors with combine. Add shredded chicken, tomatoes and beans. Simmer on low for 15-20 mins add pasta just before serving. Top with shredded parm, ENJOY!! 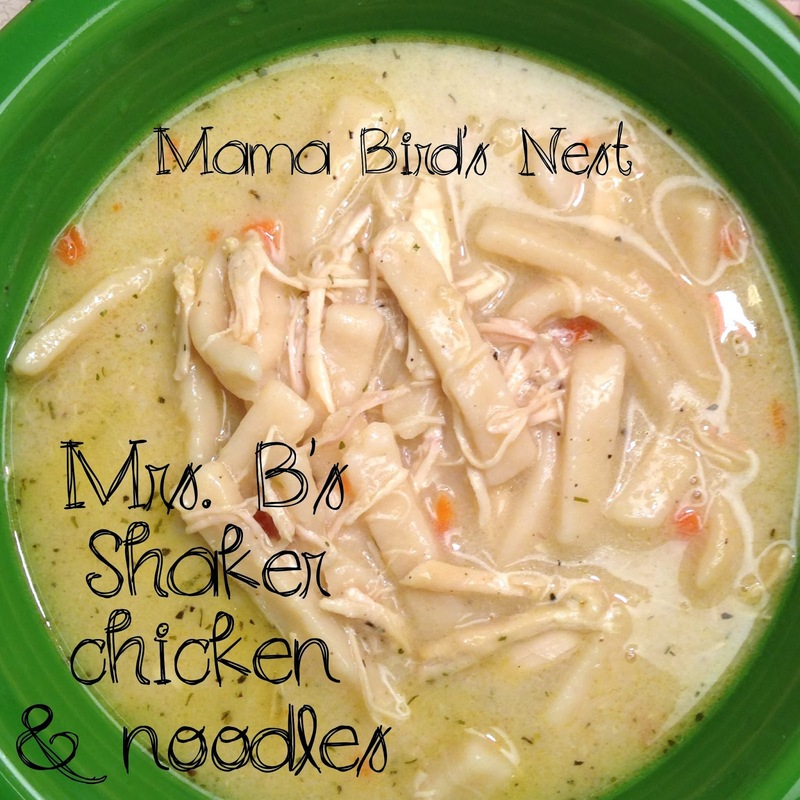 This entry was posted in Uncategorized and tagged Chicken, Chicken and Noodles, italian, Mama Bird Nest, Mama Bird's Nest, soup, Souper Sunday. This is a SUPER EASY, family friendly meal. Comfort food! Put chicken, broth, mushroom soup & spices in crockpot on low for 4-6 hrs. 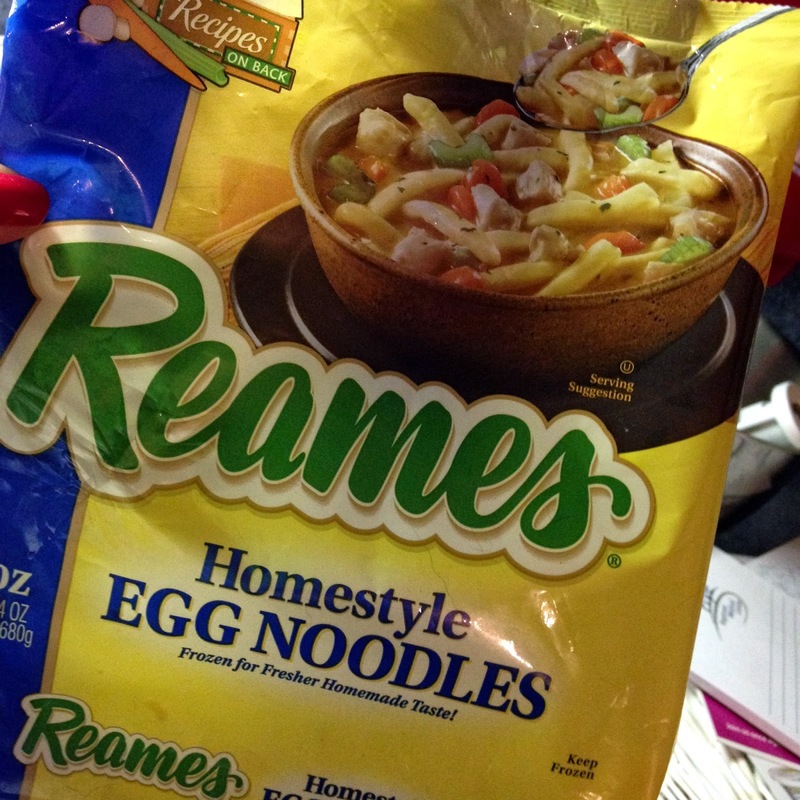 Just before dinner cook egg noodles and add to crockpot. Turn crockpot off. Stir well; cook 10 mins. Remove chicken, add sour cream and stir well. Delish! This entry was posted in Uncategorized and tagged Chicken, Chicken and Noodles, dining with debbie, Hickory Mom Blogger, pasta.